Say Diwali to everyone around you. 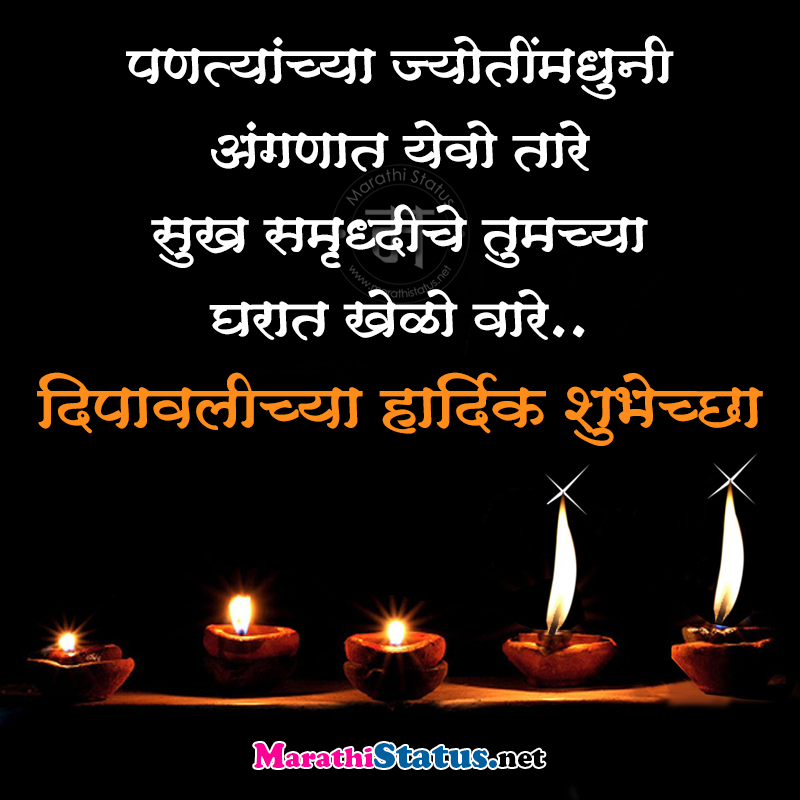 Use Happy Diwali Marathi Messages, Marathi Diwali Images and Happy Diwali Photos in Marathi font to send to all your known. We celebrate Diwali on the eve of Lord Ram’s return to Ayodhya, after winning Lanka and Ravan’s dahan. 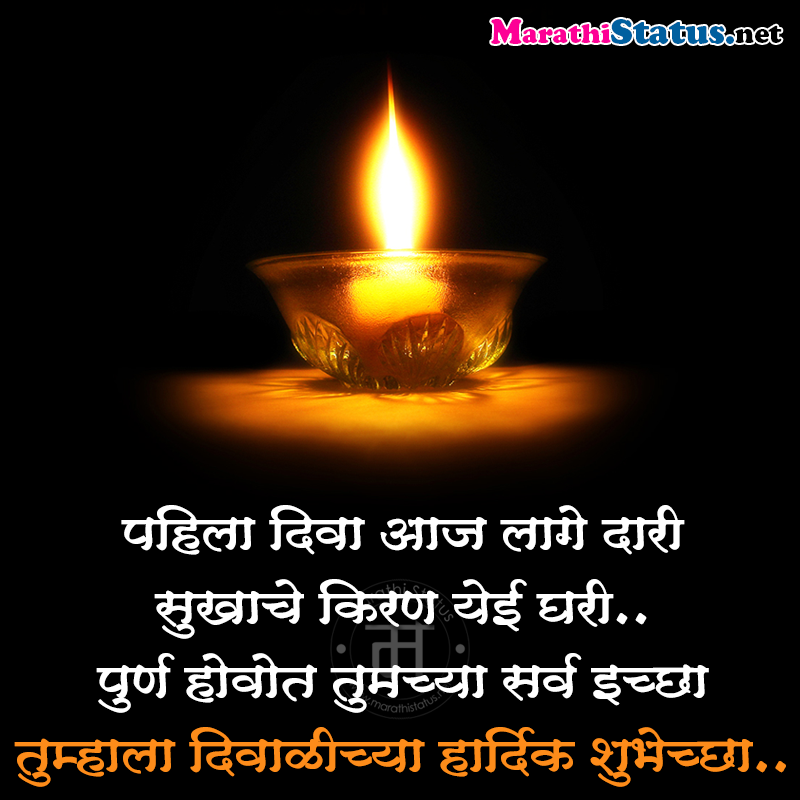 Images are best way to tell your feelings, our happy diwali marathi images can be equal to 100’s of Diwali messages. Why look further? Say Happy Diwali 2017 to all. सुखाची, सम्रुद्धीची व भरभराटिची जावो. येवो मंगल दीपावली; आपुल्या घरी. आपणास व आपल्या परिवारास दीपावलीच्या लक्ष लक्ष शुभेच्छा!!! लक्ष्मीचा सहवास आपल्या घरी नित्य राहावा ! आपल्याला नेहमीच लाभो ! घरची लक्ष्मी प्रसन्न तर सारे घर प्रसन्न ! हि दिवाळी तुम्हा सर्वांना सुखसमृद्धी आणि भरभराटीची जावो. 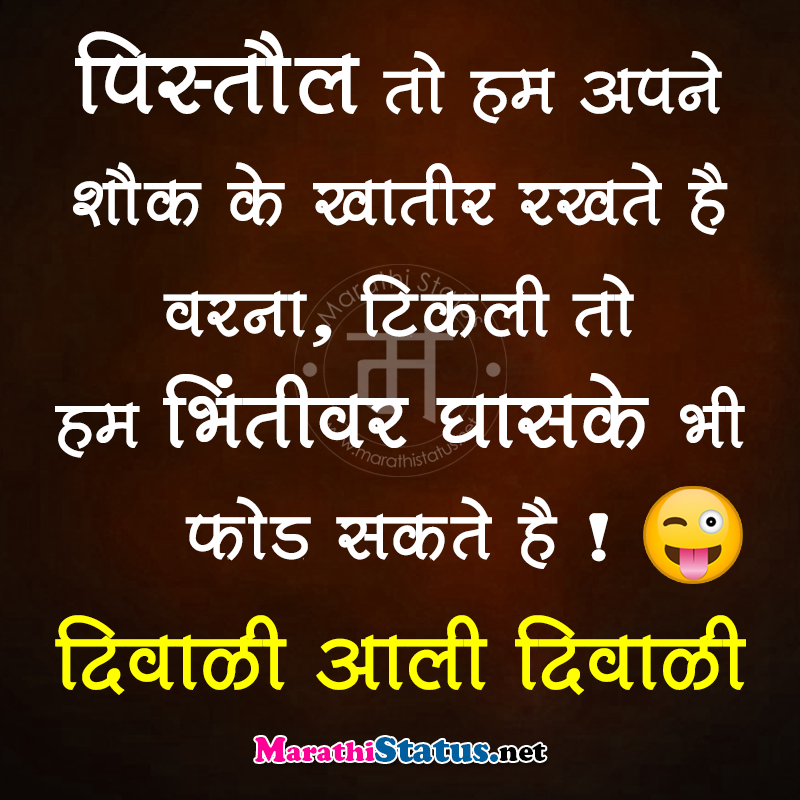 लक्ष्मिपुजनच्या खूप खूप शुभेच्छा... !!!!! धन्वंतरी आपणावर सदैव प्रसन्ना असू देत ! निरामय आरोग्यदायी जीवन आपणास लाभो ! धनवर्षाव आपणाकडे अखंडित होवो ! दिपावलीच्या खूप खूप शुभेच्छा ! 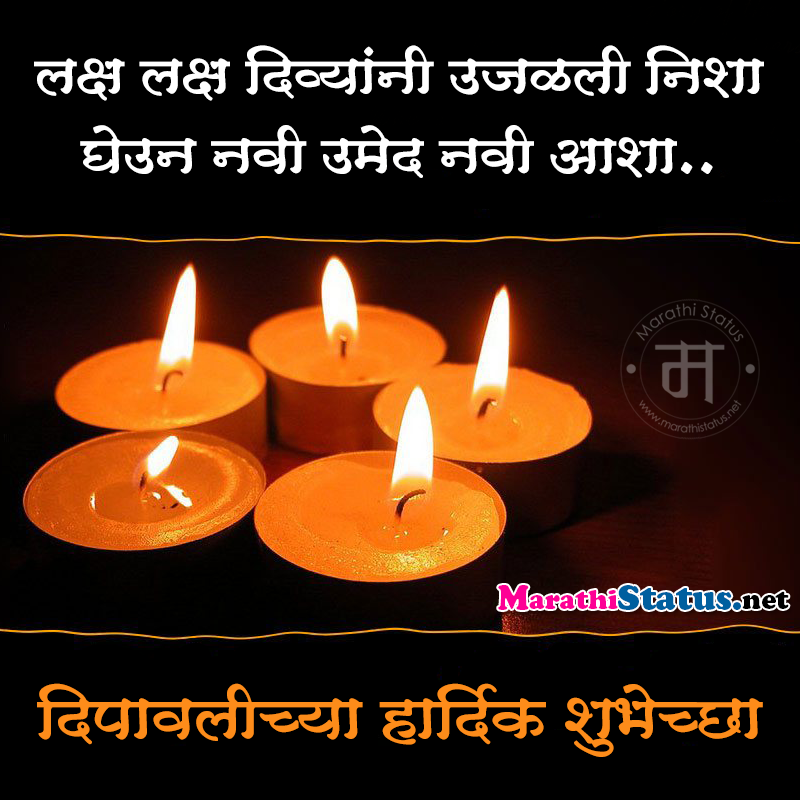 Related Tags: Happy Diwali Marathi Status for Whatsapp Facebook in Marathi Language (मराठी स्टेट्स), Marathi Diwali Greetings with Message, happy diwali marathi Greeting, marathi diwali information, Marathi Diwali Card Greetings.